With the Grand Tour season nearly upon us, what better way to prepare for three-week stage races than kick back with a cup of your favourite coffee. Cycling Souvenirs, the Staffordshire-based purveyors of bike-related collectibles and gifts, have produced a series of Grand Tour-inspired espresso cups and saucers, which they present as a set of four. 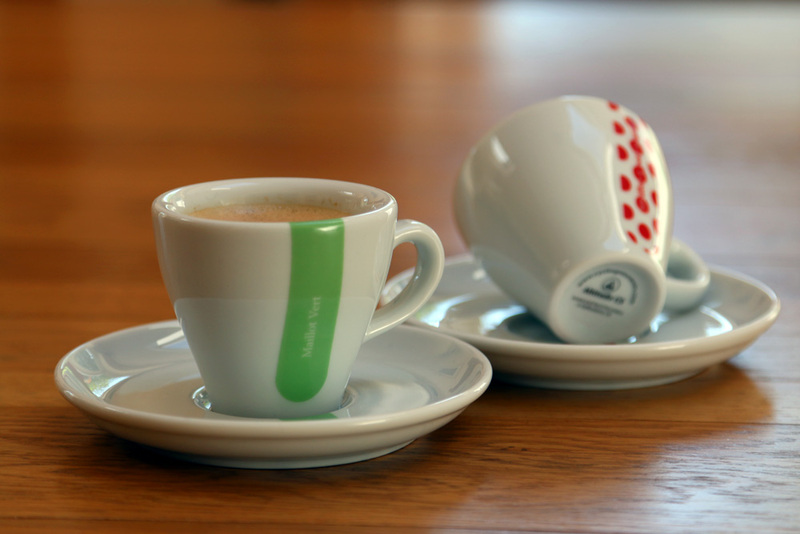 The small, white 80ml/3oz cups and saucers ooze quality, with thick walls and a neat design commemorating classification jerseys of the Giro d’Italia and Tour de France with coloured bands that travel from the saucer up and over the top of each cup. The four-cup set includes maillot jaune (yellow jersey – Tour de France general classification), maillot vert (green jersey – Tour de France points classification), maglia rosa (pink jersey – Giro d’Italia overall classification) and maillot à pois rouges (polka dot jersey – Tour de France King of the Mountains) versions. The cups are hand-finished in Stoke-on-Trent, and kiln-glazed so that the glossy finish continues over the applied design. Thankfully, they are also dishwasher safe. We found them to be an excellent vessel for our distinctly mediocre brew of coffee, nicely weighted and with a handle actually large enough to place a steadying finger through – unlike some designs. Fit of cup to saucer was also good, with no rattling when making the long journey from kitchen to sofa to watch a bit of racing. Given that a set of good-quality espresso cups will set you back not far off £50, we think that they offer decent value. A set of four, larger cappuccino Grand Tour cups and saucers featuring the same design is also available for £60, with four mugs also available for £42. 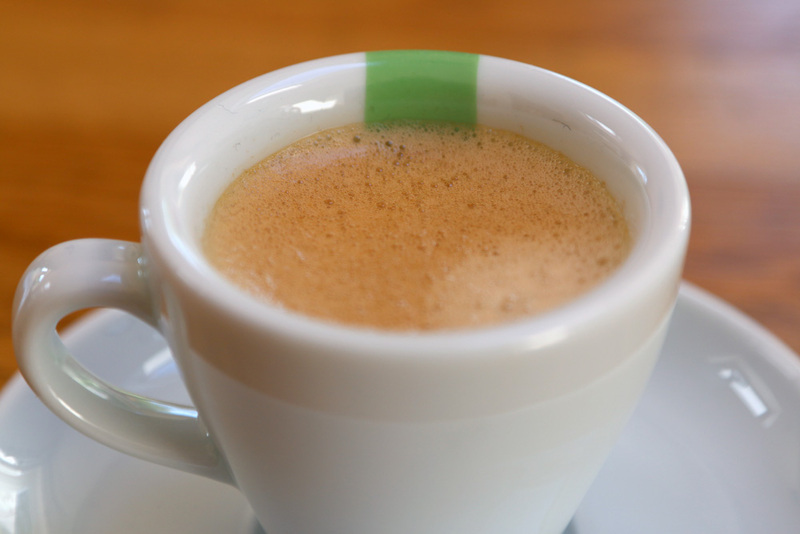 Cycling Souvenirs offers a range of other espresso cup designs, and we’ve reviewed its Classics and retro team sets in the past.